The Beauty of Life: What's Your Beauty Indulgence? Beauty Blogger Risi-Leanne Baranja Fills Us In. What's Your Beauty Indulgence? Beauty Blogger Risi-Leanne Baranja Fills Us In. Whenever I run into beauty blogger Risi-Leanne Branaja of Palacinka, I know I'm in for a treat. She's the sweetest person ever and is truly one of the most knowledgeable people about beauty products I've come across! So of course I had to find out what she considers her biggest beauty indulgence. Here it is, in her own words. 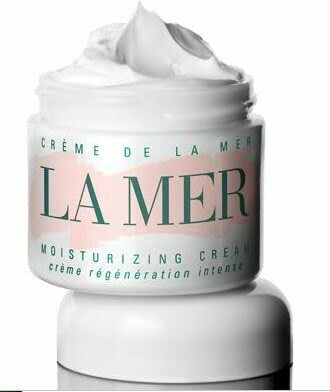 Yes, the legendary Creme de la Mer is my beauty indulgence because it truly does transform my "good" skin into something "great" -- continuously hydrated, glowing day and night, more even toned and silky smooth no matter what the elements bring. Because it's also one of their most concentrated versions, a little really does go a long way, and I practice the warming up in the hands/pressing/patting ritual religiously, so I feel that the cost is justified because I get several months use out of it. I haven't yet sprung for the 16.5 oz. version ... but a girl can dream! Check out Risi-Leanne's blog here. To follow her on Twitter, click here. Posted by Jamie at 7:00 AM Labels: What's Your Beauty Indulgence?